Hospitals stand alongside many advocate organizations in opposing the state's proposal to impose work requirements for the Medicaid expansion population to maintain their health coverage. As mandated by state lawmakers, the Ohio Department of Medicaid is submitting in the coming weeks a request for a 1115 Demonstration Waiver to receive permission from the federal government to implement this requirement, which includes a number of exemptions for certain groups. The proposal would require that, in order to receive benefits, Medicaid recipients either work or participate in approved community engagement activities. Cleveland Clinic, MetroHealth and University Hospitals all submitted comments raising a number of concerns involving access, care delivery, reimbursement and the opioid epidemic. "It is our belief, and that of our member hospitals, that, if approved by the CMS, these changes to Ohio's Medicaid program will result in waves of disenrollment, greater administrative costs and a disruption of care at the provider level," Philip Mazanec, interim president and CEO of the Center for Health Affairs, wrote in the organization's comments to the state. The center is a not-for-profit hospital association that represents 39 providers across Northeast Ohio. Tony Gutowski, director of government relations for the center, said he isn't aware of any hospitals in the region supporting the waiver. While hospitals are leery of the proposed waiver to require Medicaid beneficiaries work, the state argues that the requirement would encourage work and community engagement efforts that help improve health outcomes and promote the goals of the Medicaid program. In January, CMS announced guidelines for states to test incentives that require work or other community engagement for continued Medicaid eligibility. Since then, the feds have approved three states' waivers. Several other states, including Ohio, are working on their own proposals. Given the appetite of CMS for such incentives, many agree it is likely that Ohio's waiver will be approved. According to the Ohio Department of Medicaid, of the 700,000 Ohioans enrolled in the Medicaid expansion, 58% earned income in the previous year, and 44% currently meet the work requirement. The waiver includes a number of exemptions, including for pregnant women, those 50 years of age or older, individuals who are physically or mentally unfit for employment and more. The department believes that only 5%, or about 36,000, current Medicaid expansion enrollees will need to comply with the work requirement or face disenrollment. 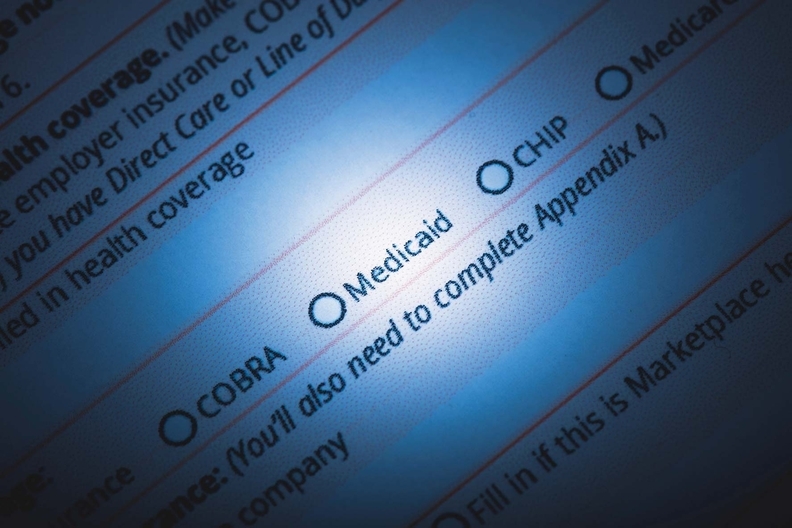 The state is estimating that roughly half of those 36,000 individuals subject to the requirement will not comply and lose their eligibility for Medicaid. Hospitals and advocacy groups, however, are questioning this math and believe that the number who lose coverage will be much greater. For example, Jen Johns, director of government relations for Cleveland Clinic, said she worries that many people may not even receive the letter informing them they need to take steps to comply. The population is transient and can be hard to reach. "I think that's the most difficult piece of all this is reaching the impacted population, educating them on the change and letting them know what the exemptions will be," said Tracy Carter, vice president of government relations for MetroHealth. In its letter to the state, the Center for Health Affairs noted the waiver will negatively affect the health care delivery system by disrupting the continuity of care and, as a result of lost coverage, force patients back to relying on the emergency department for primary care needs — a much costlier route. "Additionally, the disruption in coverage will result in a more burdensome process for hospital administrators to navigate, since hospitals are obligated by law to care for each patient that walks through their doors," the Center for Health Affairs' letter reads. "The result could be poorer health outcomes for patients and greater financial liabilities for health care providers considering more patients will be uninsured." The administrative burden is not limited to healthcare providers. The Center for Community Solutions, a local nonpartisan think tank, estimates county departments of job and family services would need to provide case management services for nearly 234,000 enrollees a year at a cost of more than $378 million over the course of the five-year waiver. It estimates that Cuyahoga County would incur the largest cost in the state if the proposal goes into effect — more than $10.8 million over a five-year period. It would cost Summit County nearly $3.9 million. David Merriman, assistant director of Cuyahoga County Department of Health and Human Services, said he's concerned about how disadvantaged, marginalized people will be affected by the loss of Medicaid or the threat of a loss of Medicaid. The client and community perspective "has to be the most important thing we think about," he said. "But the other half is administratively, this is an unfunded mandate," Merriman said, estimating that the county will have to assess between 20,000 and 30,000 individuals. "Unfortunately, I believe the state and the feds will expect county dollars to be used to carry this program, to find the resources to do the case management and the referral. And those are dollars we're going to pull from another program or we're not going to have those resources available." Johns highlights two main concerns of the clinic: how reimbursement will work under this model, and ensuring individuals have access to coverage, particularly for things like primary care or chronic condition management. "If our patients don't have access to that, then they're going to get sicker," Johns said. "And what's kind of ironic about this is that the sicker they get, the harder it's going to be for them to hold a job." "Ohio hospitals battle proposed Medicaid work requirements" originally appeared in Crain's Cleveland Business.